The MYC gene family plays essential roles in normal development and in multiple cellular functions. Moreover aberrant MYC gene activation is profoundly involved in the etiology of a wide range of cancers. MYC encodes a transcriptional regulator that modulates expression of genes controlling cell growth, proliferation, metabolism, differentiation, and death. Deregulation of these expression programs has been linked to MYC's function in tumor initiation, progression, and survival. 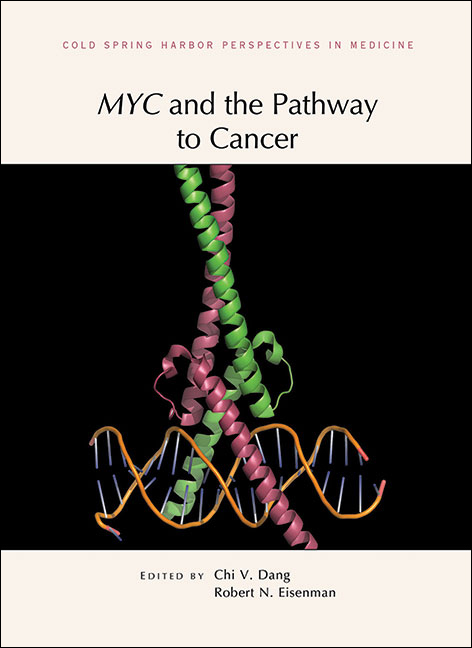 Written and edited by experts in the field, this collection from Cold Spring Harbor Perspectives in Medicine covers all aspects of MYC biology. The contributors discuss its normal functions in the control of cell growth, cell competition, pluripotency, and development, as well as the molecular basis for the effects of the MYC protein on transcription. In addition, they examine how MYC interacts with other proteins, induces apoptosis, and impacts metabolism, genomic stability, and microRNA expression. The authors also provide a detailed analysis of the role of MYC in tumor initiation and progression. Its involvement in cancers such as medulloblastoma, neuroblastoma, and Burkitt's lymphoma is examined, as are the prospects for anti-MYC therapies in cancer treatment. This book is essential reading for all cancer biologists, as well as researchers studying the regulation of gene expression.